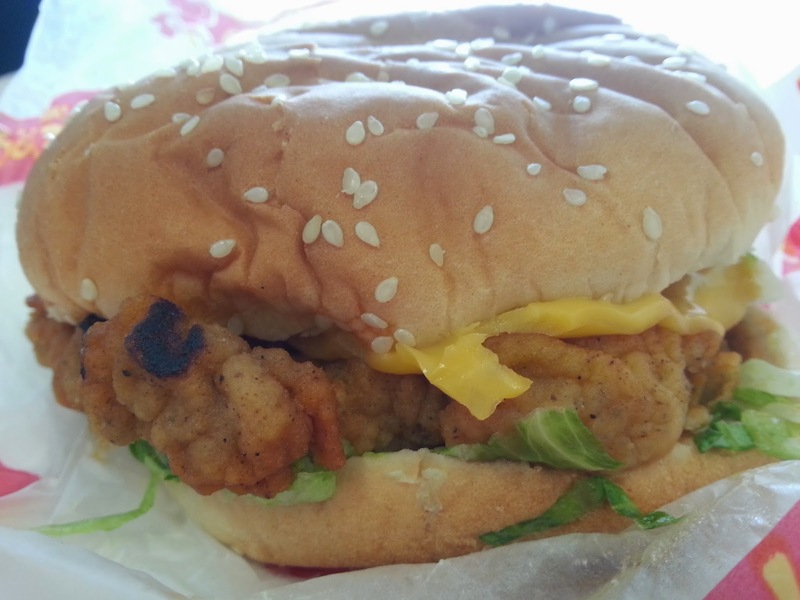 This is a battered chicken fillet with lettuce and mayo, in a bun. It's fine, the chicken fillet is quite moist and tasty, while the slathering of mayo and lettuce reminds me of the McChicken Sandwich. 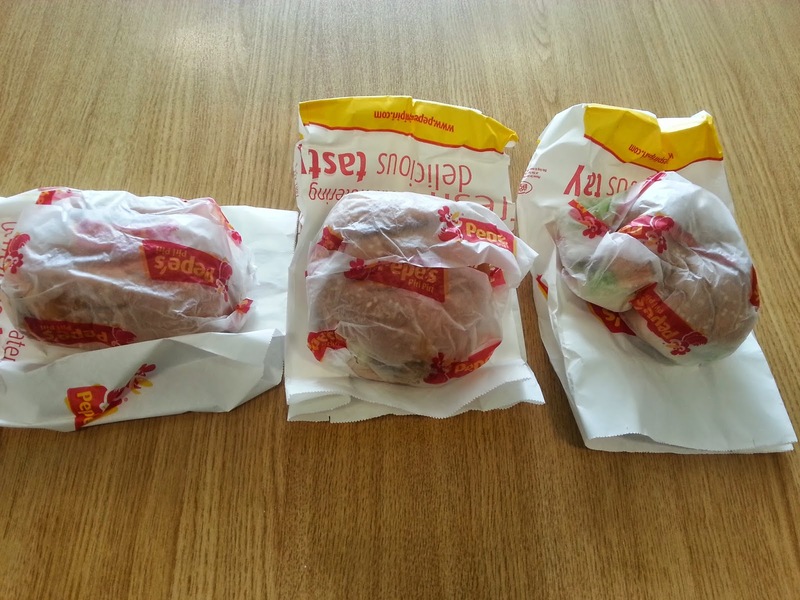 The giant chicken burger is similar to the normal chicken burger, but with a couple of additions. 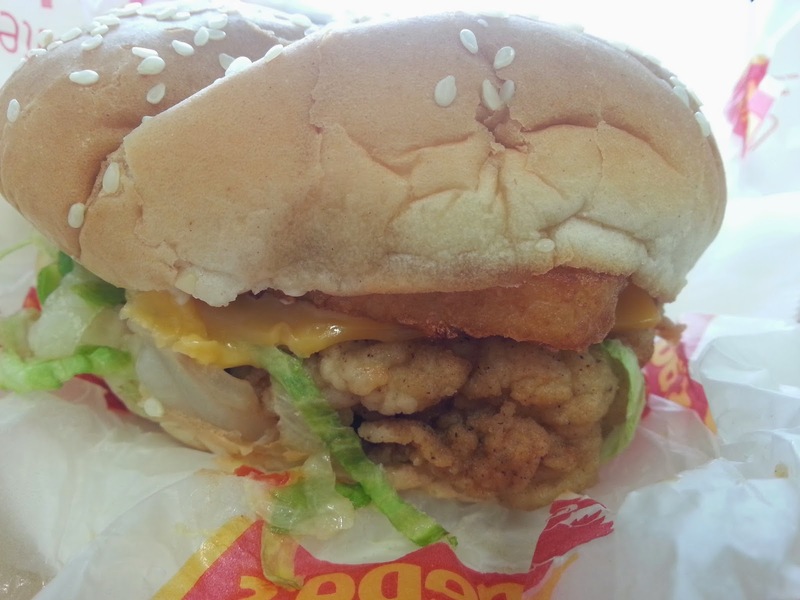 Firstly, the battered chicken fillet has been supersized . Secondly, a hash brown tops the chicken patty. And finally, in addition to mayonnaise, there's also a layer of tomato salsa. This is the same as the Giant Chicken burger, but with a piri piri sauce instead of a tomato salsa. It's this burger that really turns up the heat - the fruity, spicy peri peri merges with the battered chicken fillet and the sticky american cheese really nicely and the mayo and lettuce keep the burger balanced. I don't normally eat chicken burgers, though the 20 minute travel time from Brick Lane to central London had taken away some of the crispness of the batter, but it’s a jolly good effort from a fast food chain. Delivery was within the 10 minute slot they'd given me, so that's pretty good news too. 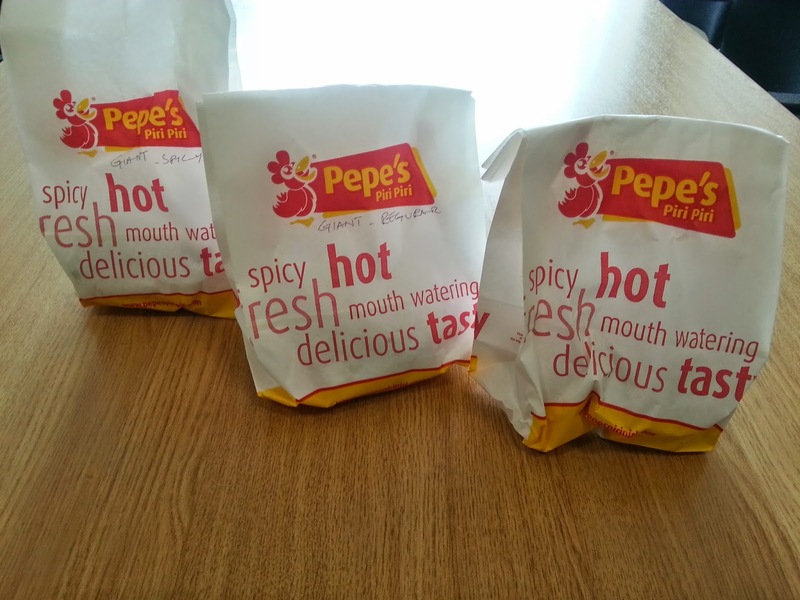 Pepe's Peri Peri are on Brick Lane.